I’ve spent most of my working life writing – but for someone else! Study notes, exhibition guides, newsletters, council reports, strategic plans, you name it: schools, a museum and the planning departments of local government. It used to irritate me that I wasn’t writing for myself. But, hey, you have to earn a living. I’ve said goodbye to all that and I’m now onto my second work of historical non-fiction and have a slightly different perspective on those years – it was great practice and I was getting paid to do something that I enjoyed. I am without any doubt a better writer as a result of those years of writing for someone else. My message to those of you who bemoan the writing you may have to do at work: regard it as an opportunity to hone your style. There were unforeseen consequences. For example, I gained a reputation for writing readable reports that didn’t need redrafting all the way up the line to the General Manager. Nervous first-time report writers would bribe me with the promise of drinks on Friday arvo if I would cast my eyes over their work. I’m hopeless at saying no to a drink . . . So how do I now find myself working on the biography of a woman who experienced the horrors of the Great War from the wards of a military hospital? Strange to say, poetry was the catalyst. I relished reading poetry from an early age, encouraged by Mum who often gave me books of poetry for birthdays and Christmas. So, it was a revelation to me when, in my final year school exams, one of the set texts was the work of the war poet Wilfred Owen. I was in awe of his work, then shocked and fascinated when I started to delve into historians’ accounts of the war and its impact on global events. So began my understanding of and interest in how literature and art reflect and influence the story of humankind. Poems like Owen’s Futility certainly influenced my choice of History for study and my political leanings. Fast forward twenty-five years to my job at Newcastle Regional Museum. Research for an exhibition on Hunter stories of the Great War, that included the mock-up of a trench complete with soundtrack, introduced me to the war service of Hunter nurses who joined the Australian army and, a smaller number, the British army. But one who slipped through the cracks in the telling of her story was Matron Ida Greaves RRC, a graduate of Newcastle Hospital who happened to be in England in August 1914 at the outbreak of war. She joined a voluntary hospital that went to France within weeks but the story is not well-known today. I accumulated more information about Ida and realised she was a remarkable woman who deserves to be better known – part of the first contingent of Australians on the Western Front and one of the first Australian women to be awarded the Royal Red Cross in that conflict. I had created a blog for ‘my’ Great War nurses, listing their names and a summary of what I knew about their service. One day I was contacted by a descendent of Ida Greaves. We corresponded over a few months and in 2013 he called me to say he would be visiting a relative in Victoria who had ‘stuff’ in her garage that might interest me. 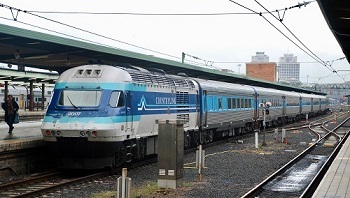 I was to wait on Broadmeadow Station, alongside carriage ‘B’ of the northbound CountryLink at 1.50pm on the day of his return. An elderly gentleman briefly stepped out of the carriage to shake hands, handed me a briefcase and then continued on his way. The briefcase contained a treasure trove of over 300 photos and documents and I was on my way with turning Ida’s story into a book. A friend once told me that a good biography takes seven years. I plan to have A Matron and A Hospital in print in 2020. It will have taken seven years and I aim for it to be my best writing yet. Christine has been a teacher of History, a museum education officer and a cultural planner. She assists Lake Macquarie libraries with the planning of the History Illuminated Festival each year during History Week – September. Hunter Writers Centre was thrilled to present the 2019 Newcastle Short Story Award prize ceremony on 5th April. Annabel Smith, judge, flew in from Perth to talk about her judging experience, her own writing journey and gave tips to writers about entering competitions, coping with rejection and explaining the stand out features of a great short story. 2019 NSSA Winner, Ellen Vickerman, from Queensland, collects her award.